We’ve all been there, after a long day of battling through everything our child can’t do and doesn’t know, in tears knowing we have to do this all again tomorrow. This isn’t what we imagined homeschooling or learning to be. But here we are, trapped in this cycle of hammering away at weaknesses and short-comings. And in the midst of this hopeless cycle, we lose the vision of what we are sculpting, the potential we know lies within our child. So much of our education is focused on where a child is falling short, what the child hasn’t learned yet, what skills the child doesn’t yet have. And while learning obviously involves new challenges and new skills and new knowledge, learning is best approached by our strengths rather than solely our weaknesses. A customized homeschool education is not just remediation. Education is not about fixing problems, but about growing a person. An education focused on growing my child as a person is a strength-based approach. Strength-based homeschooling is not a new homeschooling philosophy; it’s not delight-directed or unschooling. In fact, a strength-based approach could be used with any homeschooling method. A strength-based homeschool is about who my child is rather than what my child is not. Learning from strengths builds confidence and equips my child to encounter weaknesses with confidence. Tackling weaknesses repeatedly can often lead to anxieties about learning, but approaching those subjects from a child’s strength provides that child with a sense of control in areas that may feel out of his or her control. Learning from strengths helps kids to identify the way they learn, giving them tools for successfully tackling life’s challenges in the future. After all, the goal is not to teach kids the way we learned but the way they learn. Learning from strengths invites children into the process of learning, listening to their input and ideas on how to approach projects and obstacles. It teaches them to problem-solve and think through their own solutions to tough areas of learning. Identifying your child’s strengths doesn’t need to be complicated. Just watch your child. Observe how your child plays and what they choose to be involved in. Watch how your child problem-solves and approaches obstacles when he’s building with LEGO® bricks or making a craft. Notice what your child chooses to learn and the projects she chooses to tackle when given the opportunity. Does your child draw in his spare time or notice drawing books at the library? Does your child create LEGO mechanisms or LEGO screenplays? Does your child enjoy writing comics and graphic stories? Does your child prefer to create display boards or make dioramas? My daughter loves to learn creatively, with art and out-of-the-box multi-sensory projects. My oldest son approaches learning through his interests in sketching and coding, while my youngest learns theatrically with puppet shows, reading videos, and science demonstrations. Our children leave clues to their strengths and preferences throughout any given day. It’s up to us to notice these clues and put them to good use. Planning a strength-based homeschool does not have to take more time and effort on our part necessarily. In most cases, all our kids need is an opportunity, an invitation. Allow your child to provide input. Provide the parameters for what your child needs to learn and then ask your child how he’d like to learn it. Depending on the child, you may need to offer up a few choices initially. For instance, maybe you want your child to understand geography terms for different land features. Does your child prefer to sketch a map of a fantasy world, create a clay model of an imaginary world, or design a display board of famous land features from a real country? Incorporate your child’s strengths, particularly in subjects where a child struggles. For my dyslexic daughter, spelling is a tough subject. 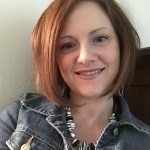 What made a pivotal difference for her was allowing her to approach spelling in creative, multi-sensory play rather than approaching spelling solely through writing and repetition and phonics rules. We go over the Orton-Gillingham phonics rules for the words, but then she is free to practice with glitter glue or play-doh, sidewalk chalk or Bananagrams, rhythm instruments or Wikki Stix. Each week she thinks of new and exciting ways to practice her words, and the visual element helps her to remember. If your child struggles in math, allow him to use math to run a pretend business, build a virtual zoo or city, or create a Minecraft world. If your child struggles in reading, allow her to teach her stuffed animals, read with puppets or pets, practice and create videos to send to family, etc. Education is not about “fixing” our kids, and learning doesn’t have to be focused on just what our children are lacking. Instead, each child is uniquely gifted and equipped to bring their gifts to our world—today not just when they’ve graduated. 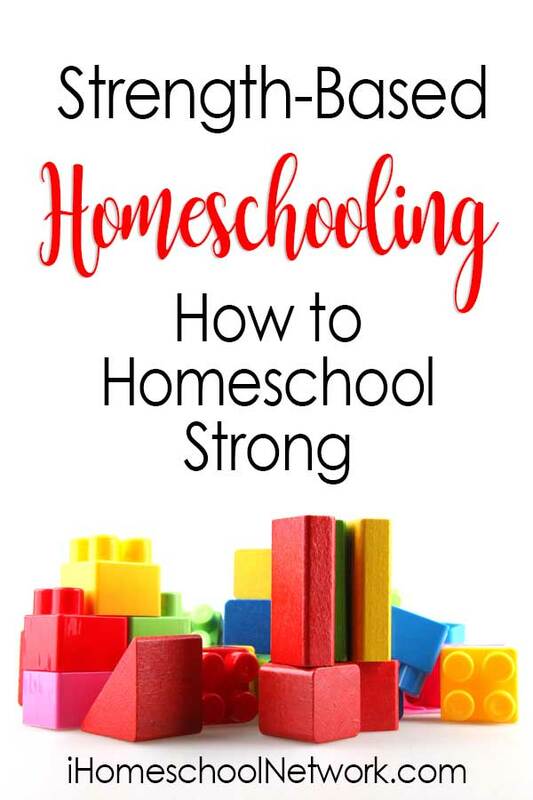 Strength-based homeschooling is about giving our children the tools to succeed and the confidence to approach life’s obstacles with their best.